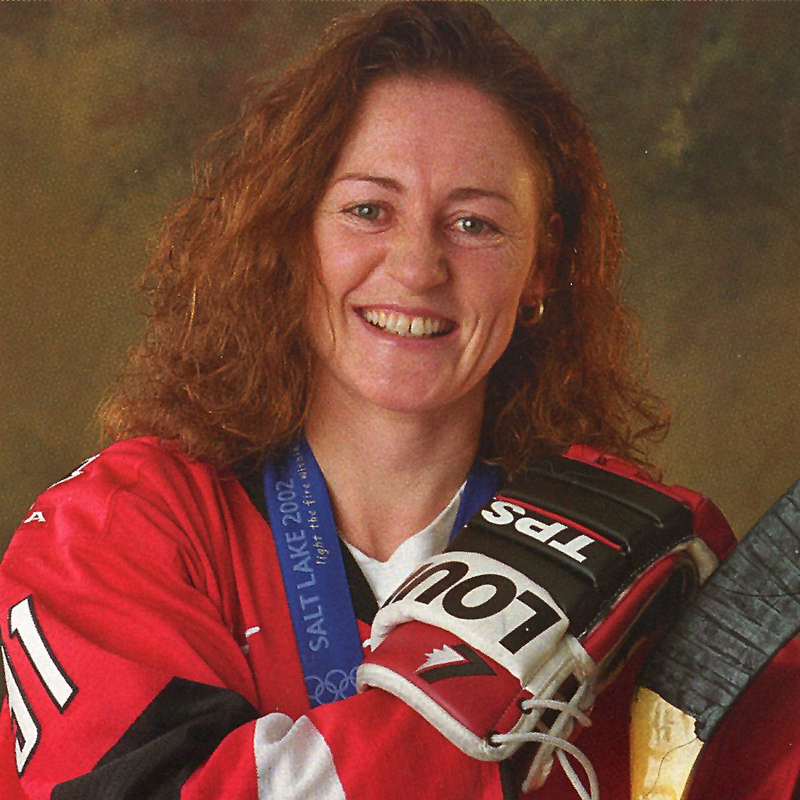 The NYHL recently caught up with only the third women inducted into the Hockey Hall Of Fame. Geraldine is considered a pioneer in women’s hockey, and is credited with aiding the growth of the sport. She is a two time Olympian, winning silver in Nagano in 1998 and then the gold in 2002 in Salt Lake City. The NYHL is appreciative for the time Geraldine has given to us. Read his Face to Face interview below! Soccer, hockey, field hockey, basketball, volleyball and Gaelic football. What did you like most about hockey that made that your sport of choice? The skating component and the overall speed of the game. I love that you have to make split second decisions. I had no pressure from my parents. I just remember having so much fun. The camaraderie part was memorable as well. I was playing with kids and we all have a common interest. How to get along with others and work towards achieving set goals as a team. It taught me how to get along with others. For sure. I try to teach that to my team and in all the clinics I am involved with. Obviously winning the Gold medal in 2002 in Salt Lake City. I am also extremely proud of playing for the Aeros for 25 years. There is not a lot of loyalty these days. It is very rare to see an athlete stay with one team their entire career. What was your most memorable hockey experience? The goal I scored in 1990 in Ottawa in the first IIHF women’s championship. It is compared to the famous goal that Bobby Orr scored flying thru the air. I also remember wearing the pink Team Canada jerseys. You participated in two Olympic Games. The first was 1998 in Nagano and then four years later in Salt Lake City. Describe what those were like to be a part of? In Nagano we had no Olympic experience on the team as it was the first time women’s hockey was in the Games. There was no veteran experience to help out. We won the silver medal and at the time I was disappointed we didn’t win the gold. It was also an awesome experience to be in the athlete’s village with not only the NHL players, but all the athletes from around the world. At one point I had lost the spark and desire to play. At that point I decided to take the summer off skates. By the time the fall came around again, I regained my fire to play. I firmly believe that hockey players should take some time off in the summer and pursue other activities. It promotes an active and healthy lifestyle. It keeps the kids busy and you are always making new friends. What advice can you give kids today in regards to being involved in sports? Always make sure you are having fun and remember to play because YOU want to play. Let the kids have fun. Always support them and make sure you have realistic goals for them. The kids have to want to play on their own. Thanks to Geraldine Heaney for his time! We’ve had Face to Face chats with all sorts of pro hockey players! Read more interviews with the pros.